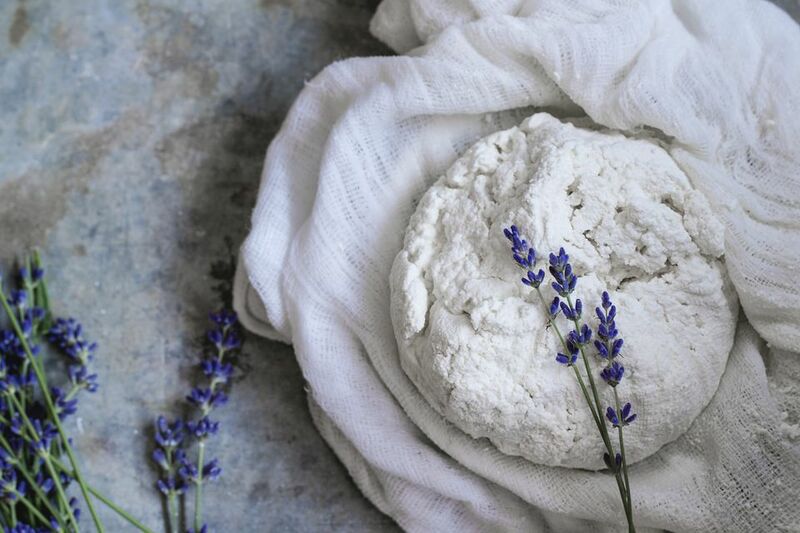 Cheesemaking is a skill that's worth mastering. When you know how to make your cheese, you don't have to pay a premium to enjoy fresh, preservative-free cheeses. With these recipes, you can choose the type of milk you wish rather than trusting a commercial cheesemaker to use organic or hormone-free milk. You can also control the amount of salt and other ingredients and avoid additives. You will need only a few pieces of equipment to make cheese as people have made since prehistoric times. A heavy-bottomed saucepan or double boiler to heat the milk. Cheesecloth or muslin to strain the curds. Other ingredients that vary from recipe to recipe. What type of cheese would you like to learn how to make? Here are instructions for several types of homemade cheese. Mascarpone: This recipe uses heavy cream and tartaric acid to make the silky cheese used in many desserts. You will need to allow at least 12 hours for it to cure. Mozzarella: You can make fresh mozzarella in only 30 minutes. You will need rennet and citric acid, so a trip to the health food store may be necessary to get the right supplies. Ricotta: Make ricotta from buttermilk plus milk. That's all you need in addition to heating and straining in a cheesecloth. Allow about 90 minutes from start to finish. Yogurt Cheese: Plain yogurt can be transformed into Greek-style yogurt or cheese. It only takes a strainer, cheesecloth, and time. You can use yogurt cheese as a replacement for cream cheese, sour cream or mayonnaise. You can spice it up however you wish by mixing in other ingredients after it has been strained. These fresh cheeses have a limited shelf life and should be kept refrigerated. Check each recipe. In general, you should plan to use them within a few days. To be sure you are using your cheese while it is still of the best quality, you may want to label it with the date you made it and your own "use by" date based on the recipe. By making your cheese, you won't have to recycle or dispose of the containers that many of these soft cheeses come in. Enjoy your cheese!